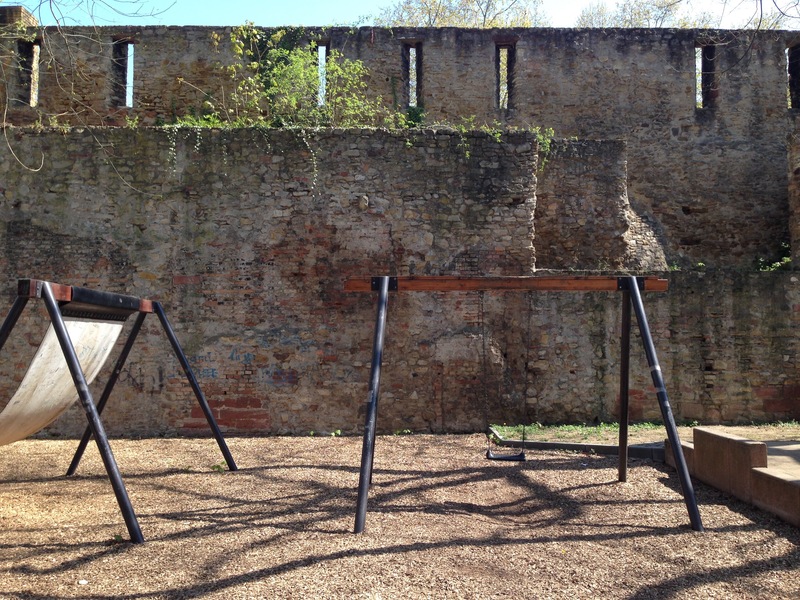 Show me another kiddies’ playground that backs onto a medieval city wall and I’ll send you a signed 10c coin. 22 Apr	This entry was published on 22 April, 2015 at 08:00. It’s filed under Altstadt, Architecture, History, Mainz and tagged Stadtmauer. Bookmark the permalink. Follow any comments here with the RSS feed for this post. Newer: If you were thinking of taking little Tobias/Sophie/Kevin/Thekla/Jonas/Brunnhilde…..
Only in Mainz is right. Castles should not be bouncy.